In today’s global village where the internet, and affordable travel, makes almost anywhere in the world feel reachable; China remains one of the few places to retain a sense of mystery, despite (or partially because of) their growing status as one of the world’s super powers. There may be books and programmes about the geography, and the cuisine; but there are few insights into the day to day realities of the country and its culture, quite like Is That Fat Foreigner Rich? The memoir’s author Graeme Allen has lived and worked in China for over twenty years, primarily in the hotel industry, though he now owns Irish Gastro Pub ‘The Flying Fox’ in Shanghai. This has provided him with a unique perspective into China, its traditions, and business practices; as the perpetual ‘foreigner’ in a country he now calls home. Allen has a wonderfully conversational style, as if recounting a variety of anecdotes over the dinner table. This gives an episodic feel, making it a great book to dip in and out of. 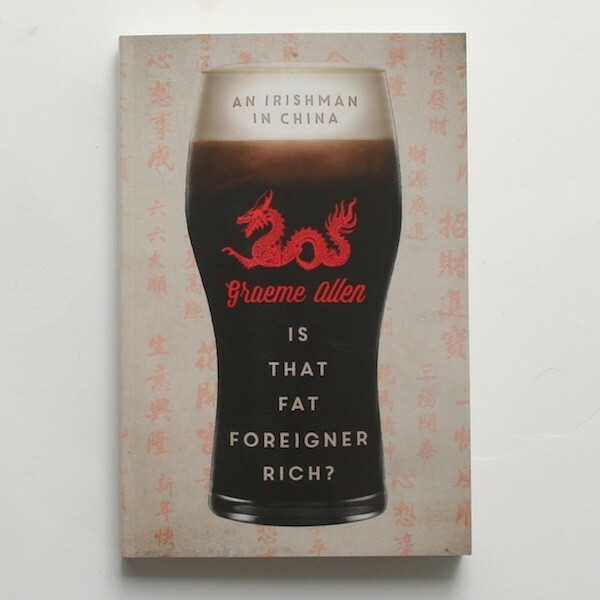 Recounting tales of working for some of the top hotels across China, Is That Fat Foreigner Rich will appeal particularly to those in the hospitality industry; and some of Allen’s recollections may lack the universal interest necessary for the layman. However, having lived and worked in six cities across China, Allen’s particular viewpoint provides wonderful insight into the country as a whole. His work and his relationships introduce him to the variety of different cultures that call China country home; discovering everything from dinner traditions, to the necessity of guanxi (connections) to get anything done. Graeme Allen is not necessarily a natural writer, and some parts of the book seem stilted; lacking the flow that makes a book impossible to put down. He does, however, have a great sense of character; meaning that even the more specifically business related episodes have a colloquial tone. Ultimately Is That Fat Foreigner Rich may primarily target those with an interest in international business and the hospitality industry; but there is enough to keep those with even the most casual interest in China engaged.